When it comes to star sign compatibility, it’s not all about Sun signs. Your Moon sign is tremendously important to your love life, because the Moon sign shows us how we feel on a purely emotional, intuitive level, and how we relate to others. The Moon also governs our habits, and our notions of security and comfort, so it’s incredibly important for understanding astrological compatibility – in fact, Moon sign compatibility often has much more to tell us than we realise. If your romantic nature doesn’t seem to match up to your sun sign profile, it’s probably a very different Moon sign at work in your psyche. For a full picture of the Moon sign compatibility between yourself and your partner, try an Astromatcha compatibility report. As a general guide, however, consider the elements of your respective Moon signs. People with fire sign Moons are passionate, direct, forthright and full of energy. They say what they mean, and are generally open and honest in their romantic lives. Highly sexed and with quite volatile tempers, they do like to be the centre of attention, and generally need a partner who will admire them and be happy to let them take the spotlight. Two fire Moon signs together makes for a highly charged and hot, hot, hot relationship, but one which can quickly burnout. Fire and air have excellent Moon sign compatibility, so a couple with one fire and one air Moon sign will inspire one another, and often enjoy a long lasting and mutually appreciate relationship. Fire and earth Moon signs are a much more difficult combination, with each partner feeling that the other doesn’t understand them; this couple deals with emotions very differently and could struggle. Fire and water Moon signs together have the potential to go either way, either creating a very steamy and intense relationship, or a complete damp squib, depending entirely on other factors in this couple’s astrological makeup. An earth Moon sign brings emotional stability to any partnership. People with earth Moons are cautious, patient, calm and kind, and not easily given to tantrums or displays of emotion. Very sensual, loving and faithful, these earthy souls are looking for a relationship which lasts. Two earth signs together means that Moon sign compatibility is strong…but potentially stuck. Not the most exciting of relationships, two earth Moons will endure, but possibly without many thrills. An earth sign and a water sign, on the other hand, is a natural match. Here, both partners will balance out one another’s emotional natures, providing an all round package for great emotional health. Earth and air Moon sign compatibility can be a little strained, as neither partner really “gets” the other’s way of relating, but with work they can come to a mutual understanding. People with air Moon signs are intellectual, imaginative and talkative, always communicating but not necessarily laying bare their souls. Air Moon signs can be a little emotionally aloof and afraid to explore the deeper realms of emotion. 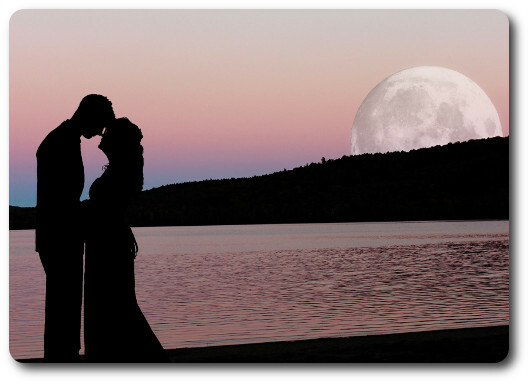 Surprisingly, though, air and water Moon sign compatibility is strong, even though the couple are at opposite ends of the emotional spectrum – probably because both air and water Moons can be in love with love itself. Air and fire Moon sign compatibility, as mentioned above, is very strong indeed, since fire needs air in order to thrive, whereas an earth Moon sign tends to weigh down the light and breezy emotions of an air Moon sign. When a couple with two Moon signs gets together, the relationship will be very chatty, lively and a lot of fun, but it could be missing that vital spark of passion. When the Moon is in a water sign, it shines very strongly indeed in the birth chart, because this is its natural home. Water Moon signs are highly emotional, intuitive and creative, easily moved both to tears and to laughter. This is heart on sleeve territory, with emotions visible to all. 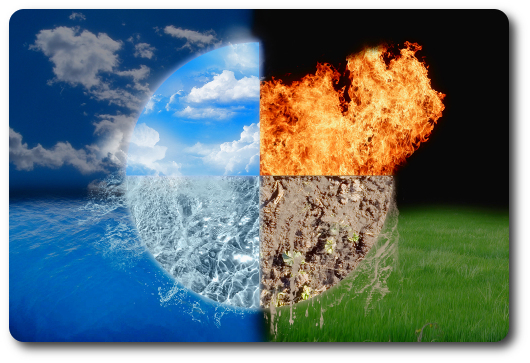 Water and fire Moon sign compatibility can be tremendously exciting, especially sexually, but ultimately, of course, water does put out fire. With an air sign Moon partner, the water Moon sign person will feel at ease and romantic, but dealing with the nitty gritty of life could be tough. Two water sign Moons together will drift in a sea of absolute sentimentality and romance, but drift is the operative word, and this partnership may never make it to safer shores. Water and earth Moon sign compatibility is usually very strong, however – these two elements go together in the real world, and they go together exceptionally well in astrological compatibility too. The best way would be to like our Facebook page which will notify you as we add new articles. We’re also about to launch an iPhone app that gives compatibility match scores by sun sign and will be released on android in a few months time, just search for “astromatcha” in the app store next week…..